Incorrect diagnosis is a significant problem in Tampa, largely because doctors spend little time with their patients. 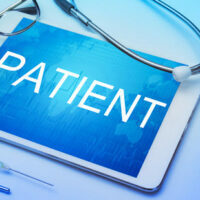 In fact, most patients explain their symptoms for only twenty-three seconds before their doctors interrupt them. It’s almost impossible to formulate a correct diagnosis with so little evidence. Furthermore, most doctors have little chance to perform diagnostic research, consult with colleagues, or even carefully review test results. Instead, it is on to the next patient who probably receives the same level of care. This combination leads to rampant misdiagnosis with regard to a number of illnesses, and that causes serious injury. Some of the more common ones are listed below. Many physicians view cancer as a lifestyle or hereditary condition. For example, a nonsmoker with no family history of lung cancer is almost always diagnosed with bronchitis, emphysema, COPD, or almost anything other than cancer. The same thing applies to young patients. Doctors almost never diagnose cancer in children, even if the evidence indicates otherwise. Many women do not suffer severe chest pains following heart attacks. Without that signature symptom, a doctor’s ears do not perk up and heart attack may not even be on the radar. Instead, the doctor may diagnose something like indigestion and send the patient home. Similarly, there are often no signature symptoms associated with strokes. Without obvious symptoms like partial paralysis, many doctors insist that their older stroke patients simply have dementia. Strokes are also associated with age, so doctors hardly ever diagnose strokes in younger patients. Instead, they are likely to blame something like alcohol intoxication. This life-threatening condition is almost entirely preventable if caught early enough. Unfortunately, the symptoms are so mild and Tampa doctors are so inattentive that such early intervention is unlikely. Instead, the patient may suffer from things like fatigue, thirst, and sudden weight changes for years before the doctor even orders a blood test. Just like some people have heart attacks without chest pains, some people have migraines without severe headaches, sensory issues, and vomiting. So, the patient could have a serious brain condition, yet the Florida doctor may insist that it is just a tension headache. Sometimes, the appendix points in a different direction. So, when it becomes inflamed, the pain is not in the traditional appendicitis area. Later, when the appendix ruptures, the pain goes away and the doctor feels vindicated. Serious signs of infection only appear about a week later. By that time, the condition is usually life-threatening. RA is an inflammatory disease, quite unlike osteoarthritis (OA), which is a deterioration of the bones or joints. RA can affect anyone of any age. It usually begins with vague aches and pains that seem unrelated to one another. So, there are no obvious risk factors and no evidentiary trails. It’s very difficult to diagnose RA without extensive tests, and Tampa doctors rarely feel these tests are necessary. In this autoimmune disease, the body’s immune system mistakenly attacks its own nervous system. MS is quite rare and has no discernable pattern. Moreover, the symptoms come and go. Once again, there is nothing for the Florida doctor to latch on to, so the mild early symptoms are usually brushed aside. Lack of information often causes dangerous misdiagnosis. For a free consultation with an experienced personal injury attorney in Tampa, contact The Matassini Law Firm, P.A. Home and hospital visits are available.